So, for fishing enthusiasts wishing to relax in sumptuous surroundings to discuss the catch of the day. 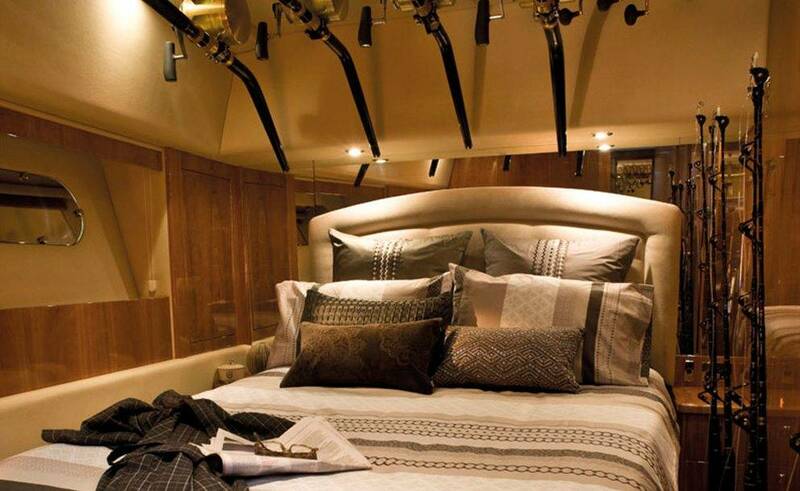 This luxury sports yacht is the perfect choice. So treat yourself to the experience of a lifetime! 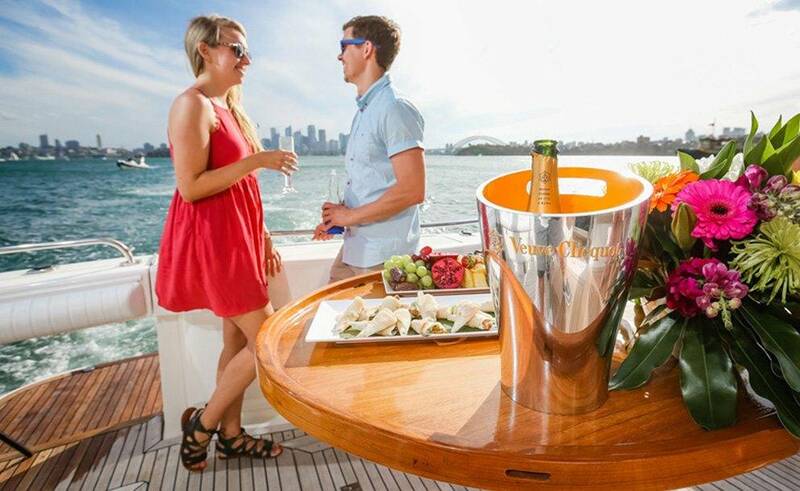 Built by Riviera, the most awarded luxury boat manufacturer in Australia. You can be assured that her construction and craftsmanship is unbeatable in the field. She provides the cutting edge in navigation, radar, sonar and fish tracking equipment. So, this maximises your chances of a successful deep sea game fishing trip, along with championship reels and lures and live bait tanks. She has essential video equipment in the cockpit to ensure any outstanding catches are also caught on camera. No more insisting ‘and it was this big’ your fishing triumphs will be preserved for posterity. Wifi is available so you can share any moments you capture yourself on social media without delay. 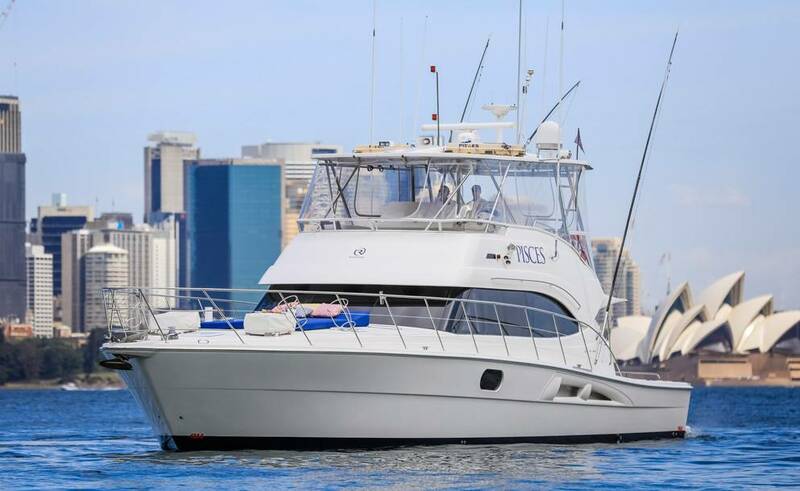 Not only is she an excellent fishing boat, but she also stands alone as an entertaining space. 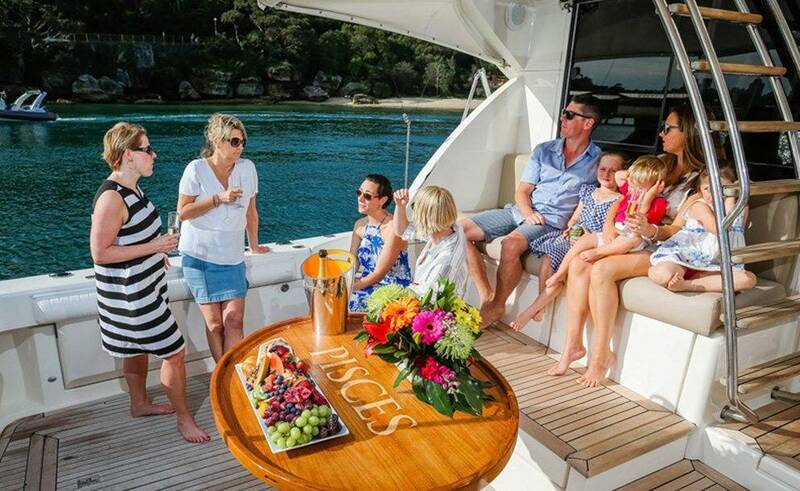 The beautifully appointed, fully air-conditioned staterooms, the pop up flat screen TV facility on the main deck and top of the range Bose sound system. Providing everything you need to make the most of your cruise experience. 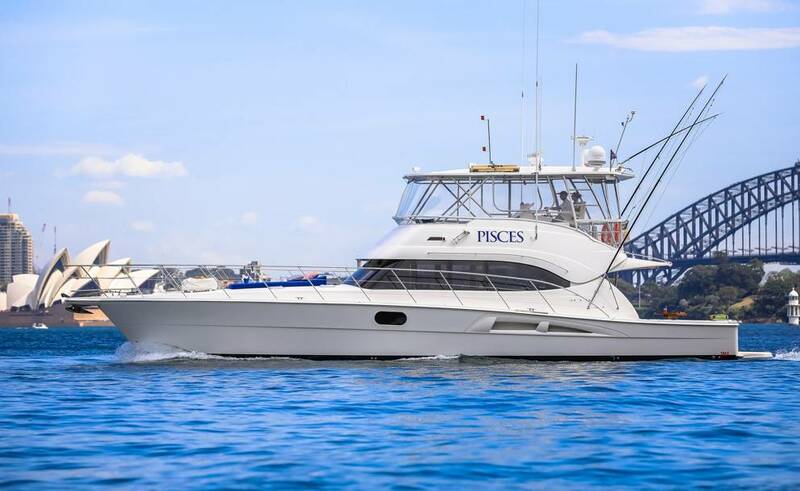 Also, Pisces has the capacity for 30 guests for a cocktail party and 12 for a formal table dinner. 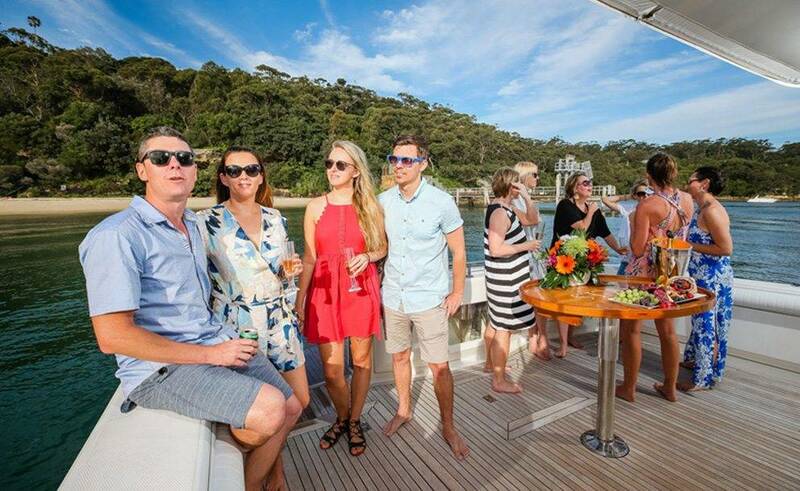 As two parties of six on the flybridge and in the saloon. Various mouth-watering catering options are available for hire. 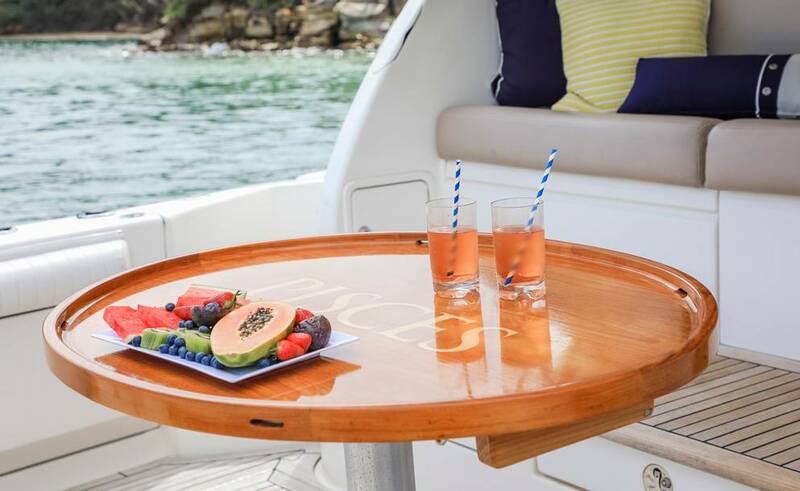 There is also a licensed bar on board. 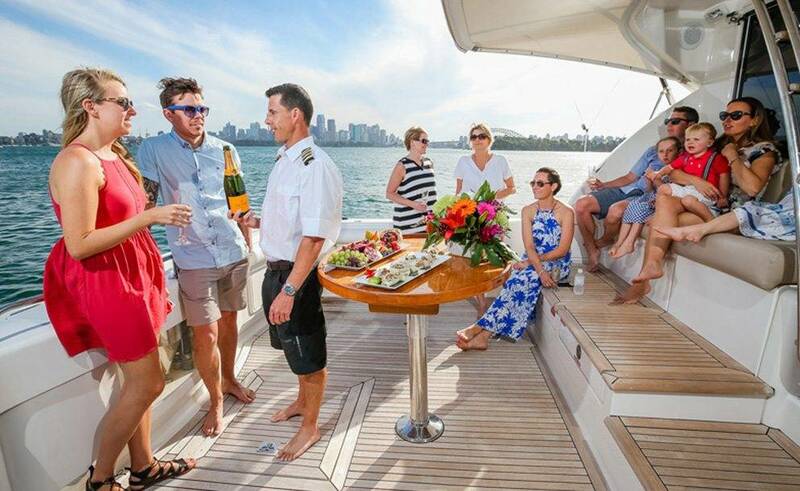 So, there is a fully equipped top end galley providing the option to bring your food and drink. All crockery, cutlery, serving and ice are included in the fee. We’re not fishing for compliments (see what we did there?!). No-one could deny the fact that Pisces is irresistible bait for any true fishing fan.